Making waves in the urban crossover segment, the Nissan Qashqai returns for 2019 with more style and technology than ever before. Whether you’re making the daily commute for work or getting away for the weekend, it’s the perfect vehicle for any occasion or setting. But more importantly, the Qashqai’s ample interior and spacing gives this vehicle its competitive edge. Meanwhile, you’re also treated to additional safety and convenience technologies to enhance your already exceptional driving experience. Needless to say, the Nissan Qashqai provides more than you could have asked for in a CUV. 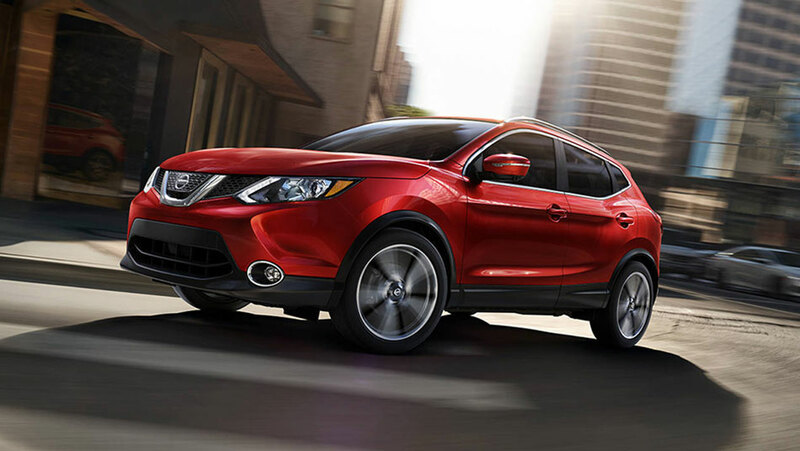 Learn more about this versatile crossover vehicle, right here at Go Nissan North! Standard across every model, the 2019 Qashqai comes with the brilliant 2.0L 4-cylinder engine which produces an ample 141 horsepower. Meanwhile, the S and SV models have a excellent fuel economy of 10L/100km in the city and 8.1L/100km on the highway. You also have the option of upgrading to the even more fuel-efficient SL model, which offers 9.0L/100km in the city and 7.5L/100km on the highway. You can go even further thanks to the Eco mode on the Qashqai, which lets you adjust the engine and transmission response, giving you the best fuel efficiency possible. Additionally, the Qashqai gives you the power of Intelligent All-Wheel Drive at just the flip of a switch to tackle any terrain or road condition. Aside from having a sleek and stylish interior, the Qashqai also incorporates functionality and convenience to handle everything you need it to. Using the Qashqai’s foldable seats, you can configure your interior however you’d like to accommodate either extra people or extra belongings. For maximum cargo space, you get a total of 1,730 litres when all the back seats are folded down. If you’re looking for an enjoyable experience during your journey, the Qashqai also helps in that regard. With the connected technologies included with the Nissan Qashqai, you’re able to keep your phone in-sync with you for the best hands-free experience possible while driving. You can access all your contacts, music, maps, and more with the Siri-Eyes-free feature powered by your Siri-equipped iPhone. For greater peace of mind throughout your journey, the Nissan Qashqai’s active safety technologies are key to a stress-free drive. Upgrade to the Nissan Intelligent Safety Shield pack of technologies, which include a slew of safety features such as the Advanced airbag system, Brake Assist, and Vehicle Dynamic Control (VDC) with Traction Control System (TCS). Otherwise, the Qashqai still includes the best standard safety tech available with a 360-degree Around View Monitor, emergency braking with pedestrian detection, Blind Spot Warning (BSW), and much more!